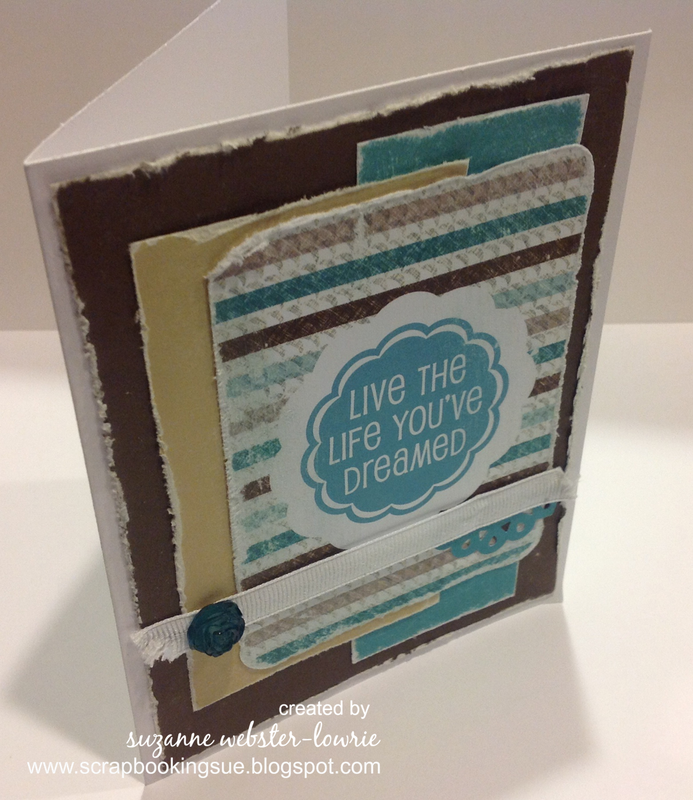 Dream Card Using Picture My Life: No Stamps, No Ink, No Kidding! 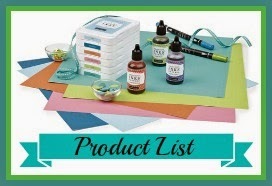 When I was at the Close To My Heart annual convention a couple of weeks ago, one of the classes that we took was about Picture My Life, and ways to use these cards other than in traditional pocket-style scrapbooking. Wanting to step outside of the box a bit, I decided to use one of the lovely 3″ x 4″ cards on a 4.25″ x 5.5″ card. Taking some of the colors from the PML card itself, I came up with the following color palette: Cocoa, Bamboo, Lagoon, and White Daisy. For the card pattern, I used the Mojo Monday #354 card sketch, which can be found here. As I started to assemble the pieces, I realized that the gorgeous little PML card was all the focus the card needed. I did not stamp any images (gasp! ), and I did not ink around any edges (what?). Instead, I got out my edge distressing tool and sanding block (see the product list below) and went to town on roughing up the papers for a distressed look. When everything was glued into place, I added a little piece of white grosgrain ribbon. I cut both ends of the ribbon at an angle and then pulled out some of the threads for a worn, frayed look. I used Glue Dots to hold down the ribbon and left it to show on the front of the card, instead of tucking it neatly behind the Cocoa cardstock. 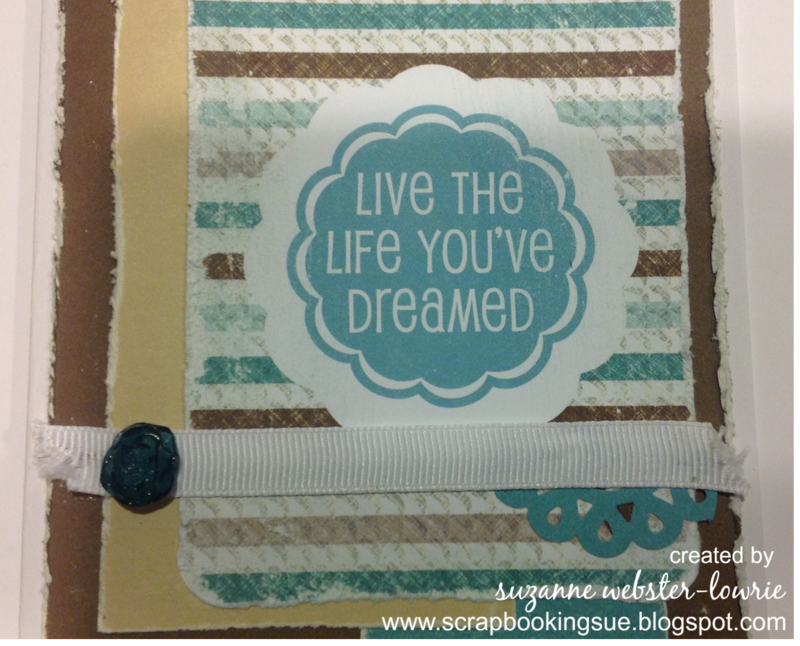 To finish off the card, I added a small scallop in Lagoon cardstock, and a Teal Resin Flower at the end of the ribbon.